Redbox, the company that offers physical movie rentals via kiosks around the United States, today launched a new digital Redbox On Demand service designed better compete with other digital TV and movie services. Redbox On Demand, available as a public beta, allows customers to rent or purchase movies and TV shows for streaming. The service offers many of the same new-release movies that are available from physical Redbox locations, along with additional content. Redbox previously had a digital streaming service called Redbox Instant in partnership with Verizon, but it shut down in 2014 after being unable to compete with offerings like Netflix. Redbox has been testing its new On Demand service, which focuses on rentals and outright purchases, since July of 2016. Pricing for new-release on-demand rentals from Redbox starts at $3.99 for 48 hours of access, but most new titles are priced at $5.99, with Redbox charging $1 more for high-definition content. Movie purchases are also available at prices starting at $9.99, and can be downloaded for offline viewing. Redbox’s rental prices are similar to rental prices from iTunes, Amazon, and other digital movie rental services. Redbox On Demand is available from the Redbox website, through the Redbox app for Android and iOS, and it is accessible on the Apple TV, Chromecast, Roku, and smart TVs from LG and Samsung. While Redbox On Demand content can be watched on iOS devices and the Apple TV, content needs to be purchased through the Redbox website. Jorge Glas is the highest-ranking politician to be convicted in the Odebrecht scandal. QUITO (Reuters) – An Ecuadorean court on Wednesday sentenced Vice President Jorge Glas to six years in jail after finding him guilty in Brazilian construction company Odebrecht SA’s [ODBES.UL] corruption scandal. A court rejects a couple’s complaints and says the bells in Wädenswil can peal through the night. How Can I Be Real At Work — When Everyone Else Is Fake? How can you be yourself at work whenever everyone around you is fake? How can you trust your co-workers when they act like friends one day and turn into enemies the next? The unexplained incident involving the Internet’s Border Gateway Protocol is the latest to raise troubling questions about the trust and reliability of communications sent over the global network. 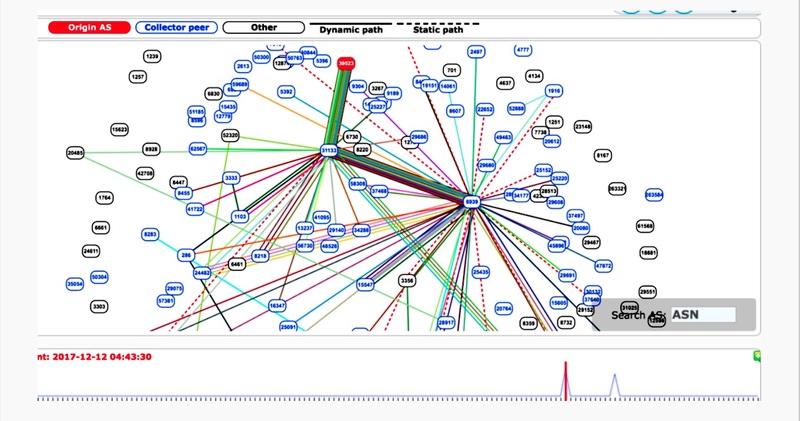 BGP routes large-scale amounts of traffic among Internet backbones, ISPs, and other large networks. But despite the sensitivity and amount of data it controls, BGP’s security is often based on trust and word of mouth. Wednesday’s event comes eight months after large chunks of network traffic belonging to MasterCard, Visa, and more than two dozen other financial services were briefly routed through a Russian government-controlled telecom, also under suspicious circumstances. Leicester defender Harry Maguire says “confidence is flowing” as manager Claude Puel is victorious on his return to Southampton. The actress is the latest to come forward with allegations against the Hollywood mogul.